Successfully Added Acekool 2.4 Inch Full HD 1080P 170 Wide Angle Dashboard Camera Recorder For Car to your Shopping Cart. 1. This AD01 dash cam does not support GPS and rear camera. 2. Pls remove the lens protector that covers the cam for the first time. 3. If you find that something wrong with the Micro SD card(TF card), Ple change a card and format it to FAT32; Try several times and maybe better. 4. We strongly recommend use a brand Micro SDcard(TF card ) speed at class 10 or above. 5. The dash cam is a heavy memory card user. If you use it for a long time, it maybe damage the memory card, which cause some videos incomplete or memory card read errors or screen stuck. We strongly recommend formatting the memory card every half month or month before you save video on your PC. 6. If you can't see the license plate number at night, Please keep lens and windshield clean, and adjust mounting angle to improve the video quality. 1080P RESOLUTION AND WIDE ANGLE LENS: Full-HD 1920*1080 at 30 fps and night vision function ensure excellent video quality for both day and night. The 170 degree wide angle lens brings wide vision and supports room for more footage and images to be captured. WIFI FUNCTION: The camera is with 2.4'' LCD screen. You can preview in real time and remote control the camera through your phone by installing APP on your smart phone or tablet PC and activating WiFi function. EMERGENCY RECORDING AND LOOP RECORDING: Emergency recording automatically captures unexpected driving incidents and protects the recordings. Loop Recording allows continuous use by writing over old, unneeded footage. GPS system follows your video alongside a Google Maps screen showing you exactly where you were! SMART SAFETY DETECTION：G-Senser, motion detection and parking monitoring systems are built in our sentry dash cams for cars, which will automatic detect ignition/motion/crash/vibration. The G-Sensor function will lock and store the video within your SD card to avoid video being overwritten. The locked video may help to avoid unnecessary traffic matters. EASY TO SETUP: Just simply mount it to windshield, connect the power cable, the car camera will automatically on/off when the engine ignition on/off. Perfect for new or experienced motorists. The dash camera is built-in WiFi function, which allows you to download app to your phone to watch and share the videos more conveniently and quickly. Advanced CMOS sensor enables recording at 30fps.Wide dynamic range auto-adjusts for light conditions to deliver perfectly exposed Full HD 1080p footage. Built-in IR light guarantees excellent night vision. The camera lens is with 170 degree wide angle which brings wide vision and supports room for more footages and images to be captured. 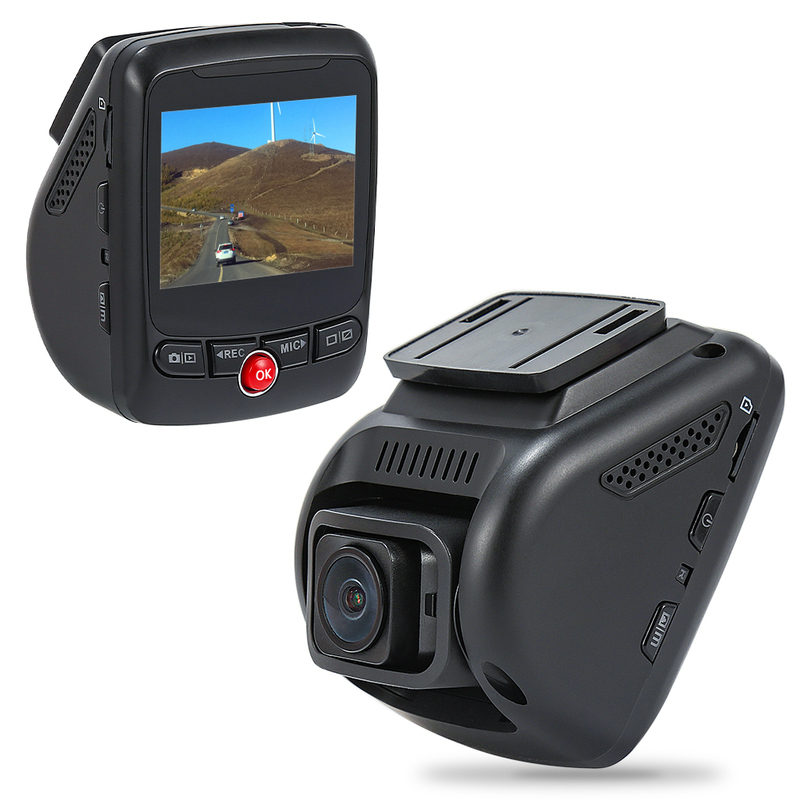 The dash camera supports up to 128GB Micro SD card(Not Include). Loop recording functions enables the camera to overwrite the oldest file with the newest one if the card memory runs out. Built-in G-sensor helps automatically lock and save video files when the camera detects any impact or abrupt displacement. Use the included suction mount to securely fasten the dash camera to your car windshield or dashboard in seconds. Plug in the included car charger and connect the dash camera via the USB cable to power on and instantly start capturing footage. Language Suppport: German, French, English, Italian, Spanish, Japanese, Chinese, Russian, etc.